xpLosION 2018 proved to be an exciting spectacle for the 3000 spectators who came to watch it at the Bournbrook 4G pitch, with the Birmingham Lions taking on the Swansea Titans. The game got off to a strong start for the Lions with running back Yomi Olajide making some good attacking yards for the Lions, taking them into an opportunistic part of the field. The Lions capitalised on this with wide receiver, number 5, Matt Cox catching the ball in the Swansea Titans’ endzone for the first touchdown of the game. Throughout the match, both teams had very solid defence, with players such as defensive lineman Irebomi Olukoya and line-backer Rowan Hancocks putting in some powerful hits to halt the Titans’ offence. 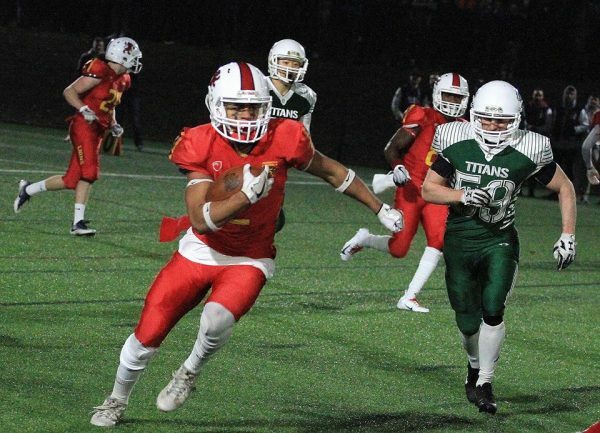 The Titans then came back and responded with a touchdown later in the first quarter, bringing the score to 8-6 to the Lions heading into the second quarter. Before the game resumed with the second quarter, the UoB Dance Team performed an impressive and entertaining routine enjoyed by all. Heading into the second quarter both teams were full of energy to get some points on the scoreboard. During the second quarter Swansea secured their second touchdown to take the score to 8-12 in favour of the Titans heading into the second half, with both teams having everything to play for. During the half time break the Birmingham Pussycat Cheerleaders entertained the teams, along with the crowd, with an impressive performance. The third quarter got off to a flying start with both teams battling it out to edge closer to the opposite endzone, however neither team managed to secure points. The fourth quarter came around and the game was setting up to be an exciting finish. The Titans scored first to take the score to 8-20. Not that long after this the Lions’ Quarterback, Rohan Sandhu, ran in to score, taking the score to 16-20 with the Lions’ offensive managing to convert the two-point conversion as-well. Unfortunately, the Lions were not able to convert another touchdown and the Swansea Titans secured a 16-20 victory. Even though the result was not what the Lions were looking for, the event was a spectacle, from the food stalls from Digbeth Dining Club to the firework display after the match all entertaining the huge crowd who came to watch and show their support.